"Baba Yaga has appeared in many flavors through the years of fantasy roleplaying games, and though my favorite incarnation of her is as the mother of one of my beloved spellcasters, her icy grip on the nation of Irrisen cannot be denied. Lovingly sculpted by those fine folks at Reaper, this miniature is sure to make your PCs shake with fear as she raises a withered finger at them from the door of her chicken-legged hut, or from her flying mortar and pestle!" Anyone who has ran Greyhawk during the Paizo era would know this refers to Iggwilv. There was some question in the Greyhawk community as to when Iggwilv and Baba Yaga, similar witch figures, became distinct characters and related to one another. Here is my semi-long answer. Starting in Roger Moore's The Dancing Hut module from Dragon Magazine #83, Baba Yaga had two adopted daughters who were both trained to be spellcasters. One was called Elena the Fair and the other Natasha the Dark. If I recall, the module even went as far to say Baba Yaga dropped these daughters off on other worlds to spread trouble. This was key because it gave a perfect tie to Greyhawk then as there was already a little known NPC spellcaster at the time called Tasha (she of the Hideous Laughter). Despite an anecdotal story of how Gygax's Tasha got her name, it was later revealed in Dragon #359 that Natasha was indeed Tasha, a former member of the Company of Seven, Zagig Yragerne's adventuring company from way back in the day. Na/Tasha being witch-trained and quite powerful, could only be one person: Iggwilv who already was known for using aliases (Hura, Louhi). And in this secret guise she used the mad archmage for his knowledge and craft, soon departing with the ability to write her infamous Demonomicon and trap greater beings such as Graz'zt. The rest of Iggwilv's history (both in the RPG setting and in novels by Gygax) easily slides right in after that, birthing a demigod, a vampiress, conspiring against Greyhawk and so forth. Ol' Baba Yaga would be proud. Luring heroes to your warded threshold. Only one party has the right Silver Key. The rest of us are left out in the cold. But there's no secret way, much less treasure. With Passwall or Knock I did not get far. Who called this a Fantastic Adventure? How will I find the Tome of the Black Heart? How will I battle the daemon Kerzit? Unopenable Doors please spread apart. Hell, you'd open if my name was Driz'zt! Next I'll try to join Eli Tomorast! I got some slightly bad news. Due to some scheduling issues with another campaign I'm in and other obligations involving the gaming podcast I am involved with on game night, the Sea Princes campaign is being put temporarily on hiatus. This of course is a rarity for me, to stop at 3rd level and only after about 14 or 15 weeks. My campaigns usually span a dozen levels and last full calendar years, but the bright side is, the Sea Princes campaign has been such a success that I am confident we'll be back on it the first chance I get. This is in large part due to my serializing the guy's weekly adventures here on Greyhawkery, and the wealth of additional campaign material I've done (like the South Seas map) and still plan do in the near future (NPC sketches and more). So don't fret readers, sails will be unfurled again and quest for the Well of All Heals will will resume. Count Tydan was given Rennaud's coded map to the Well in trust while the Bird of Prey was repaired in Torvin. The damage caused to the Bird (before the PCs had joined it) was caused in a battle at sea with the Crimson Fleet ship Malady. Captain Rennaud told the Count all about the venture and his benefactor eagerly decided to invest in it, but first he tested the captain's loyalty by sending him on a test run to Narisban, sending Tydan's less-than-appreciated son Araxo along. Rennaud was not worried about being double-crossed because the map is indecipherable to even him. Went to heal at the Well. Find it, if you don't tell. Many wounds, how they sting. With the goal set and ship readied, Count Tydan then declared that he would send Lord Ronaldo Key, Araxo's bully of a cousin, as his representative on the voyage. Any harm to him would be a slight to the Count so the captain vowed that he and his officers would protect him. Secretly however, the scheming Araxo began formulating a vindictive plan of his own to somehow derail the quest for the Well of All Heals and thus spoil a victory for his father. To be continued....dun dun dun! "Nearly two millennia ago in a land known as the Flanaess, the name of the lich Vecna was sung by bards and cursed by clerics. How did he become a lich, and why did he seek to conquer the Flanaess?You may as well ask, ‘Why is the Shadowfell dark, Menodora?'" Alright! A direct Greyhawk reference in a 4e product! Keep it going Menodora. "Vecna was a supremely talented wizard who became obsessed with overcoming death when his beloved mother died. 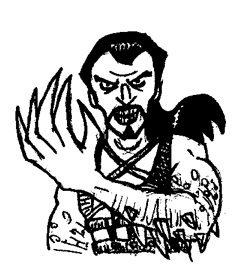 He conquered villages in the Flanaess to use the townspeople as subjects for his necromantic experiments." "...one of his generals—a demonic half-breed mage named Acererak—rescued Vecna from destruction by clerics of Pelor." "...the truth is that Acererak arranged Vecna’s near-destruction and rescue that day, so that he could ingratiate himself with his master and put himself in a position to steal Vecna’s darkest, most powerful secrets." "During the time that Acererak was deceiving Vecna, Kas was a human paladin in Vecna’s service, drawn by visions of blood and a thirst for foes who would challenge his prowess at arms. Years earlier he had pledged himself to a god of death, but Kas soon grew bored with mere death." "Vecna used necromancy to extend Kas’s life, wishing to retain his trusted weapon as long as possible. When Kas’s mortal form had reached the point when even Vecna’s spells could sustain it no longer, the lich fashioned for him a fanged mask of silver, and channeled the energy of undeath into it. By wearing the silver mask and accepting its necromantic embrace, Kas willingly received the dark gift of vampirism." "Perhaps you don’t believe me. Possibly you have heard that Kas became a vampire after his famous betrayal, as a result of being imprisoned in Vecna’s Citadel Cavitius, on an ashcovered world so cold that it freezes the very soul. That is what Vecna cultists quoting from the Scroll of Mauthereign would have you think..."
"As he spoke the final enchantments over it, he carefully pulled a thread of shadow from his own consciousness and wrapped it around the sword’s black blade. From that point on, as long as Kas bore the sword Vecna would be able to listen in on Kas’s activities, and sometimes even his thoughts." Then Vecna was betrayed. By whom? Well, you'll need to make a DC 35 History check to find that out. I can't give away the entire article folks. Vecna will hate me if I do, but I'm pretty sure you know the rest. I have to admit, given the extensive histories already written about Vecna and Kas (I'm looking at you Sam and Sean), there was every chance this article could have let me down by trying too hard to reinvent these well-known characters for 4th edition. But Ken Hart's History Check impressed me unlike most other 4e articles I've seen by at least trying to fit it with prior Greyhawk history. What is more amazing is that it's nearly all fluff other than a handfull of sidebars and adventure hooks at the end. If you have a D&DI subscription give this article a look. If you dare. As an armchair scholar of Greyhawkian apochrypa, one of my rarest sources for idle reading is AOL's Best of Greyhawk files. The Best of Greyhawk is a collection of pseudo-articles and list postings between Greyhawk fans and authors (notably Roger Moore), back when the internet was still a newish thing (is AOL still around?) and the setting we all love and cherish still held a wealth of lore to debate over. Darn I missed out on all that fun! It just so happens that deities of Oerth have been a subject of interest for me. As has been stated earlier, both guides to Greyhawk (the original boxed set as well as FTA) include nearly comprehensive lists of Greyhawk's gods and goddesses. Here are some more that I've found along the way. Tezcatlipoca: Olman god of the sun, disorder, war and wealth, Tezcat' is CE. His stats are found in the old Deities and Demigods book. A sworn enemy of Kukulcan, Tezcatlipoca often assumes the form of a jaguar to mix with the Olmans. He is a Greater power. Kukulcan: Olman creator god, Kukulcan presides over the air, arts and metallurgy. Also known as Quetzalcouatal (sp), he can be found in the Deities and Demigods tome. He is LN and a Greater power. The neutral Olman god of the moon and Lightning, Apocatequil held great sway in the Olman Empire. He is a Lesser power. "The forgotten lesser god of portals and enclosures," Dalt is LN and favors Mordenkainen, to whom he had led to the Silver Key of Portals. The Demon Prince of Lamias and evil scheming, Graz'zt has great interest in the current events of the Flanaess. Father to Iuz through the archmagess Iggwilv, Graz'zt is heavily involved in the plots of his cambion son. As a Demon Prince, Graz'zt holds the powers of a lesser god. Hurkakan: Olman lesser god of floods, ancient Olman rituals honored this deity for providing regular flooding in the lands of the Empire. He is LG. CE lord of Gnolls, Yeenoghu enjoys worship on Oerth. Statistics can be found in "Monster Mythology." The celebrated CE bat god of the Olman underworld (Mictlan), Zotz is at ends with most of the Olman pantheon. Zuggtmoy: Consort of Iuz, Lady of Fungi. More information on this demon princess may be found in "The Temple of Elemental Evil." Oeridian demigoddes of Agriculture, Merikka holds a relatively small flock within some farming communities on the Flanaess. She is CG. (Again, in my campaign, Merikka fell to the traps of Zagig. She's better now, though). Demigoddess of Law and Truth (the Correct and Unalterable Way), Alia is heavily worshipped in Medegia, where she is seen as the mother-figure for Hextor and Heironeous. She is LN (And, coincidentally, was one of Zagig's prisoners in my campaign). Xilonen: The Olman Hairy Mother Goddess of Corn, Xilonen is NG. (Again a prisoner of Zagig). That pretty much does it. Some of these powers are pretty obscure, but they all come from established TSR works (save for Landron and Om, who come from Quag Keep). Though I don't have my bibliography with me, most of them can be found in The Hidden Shrine of Tamoachan. Others are in T1-4, GDQ, N1, the novels, and a few other places. I suppose, in the interest of completion, I should make mention of the demon Maelfesh from the Rose Estes novels, but it really seems much too painful. PS: Including the beings from my last post and the nonhuman deities worshipped on Oerth (see the last few pages of the FTA Atlas book), the Flanaess and the northern tip of the Olman Empire have captured the interest of _106_ deities. Seeing as how the Flanaess is only one part of one of four continents and scores of islands, I'd say there's something important about Oerth that normal humans like us just can't understand. Alot of the deities and developments mentioned by Mona in this post surely made it into general canon when he became involved in the authoring of the Living Greyhawk Gazetteer several years later. Indeed, many of the mentioned Olman gods got further development in 1999's The Scarlet Brotherhood by Sean Reynolds, where Erik also was credited as a "Greyhawk Sage." Even so, a few of these gods are still "lost" to us. For example, Apocatequil did not make the cut and is not on any Greyhawk wiki list that I can locate. I also wish Landron and Om had been imported into the roleplay setting over from Andre Norton's novel. They sound intriguing and could make good fodder for a future article. Hint! That's all for now. Before I end I must give credit to the hard work of Best of Greyhawk editors Leo DiBenigno and Nathan Irving (of Oerth Journal fame) and Tal Meta for his revised PDF version of the publication. One of my fondest memories of running sea-based campaigns that I would set apart from most of my standard dungeon crawling ones is that I took the time to draw principle NPC crewmembers for the ship. Having an image to go along with a name helps players immerse themselves in a setting, and with half the action and adventure taking place on a mobile setting like a ship, this tool is even more useful. Emboldened by the past I finally broke down and started on some of the crew of the Bird of Prey from my Sea Princes campaign. I hope you will enjoy my first efforts (And I just know this will lead to some PC sketches). Yar! As we've learned recently, while Captain Rennaud is loyal to Prince Jeon II of Monmurg, he originally hails from the Kingdom of Keoland where he was formerly a Knight of the Watch. 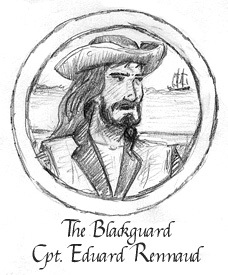 What events in Keoland led to him becoming the Blackguard have yet to surface. The captain of the caravel "Bird of Prey" has made many friends since defecting to the Hold of the Sea Princes but also many enemies like the piratical Crimson Fleet who relentlessly dog him throughout the south seas. 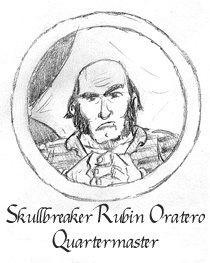 Skullbreaker is the law on the Bird of Prey, ruthlessly enforcing the Princes' Articles. To date he has sailed with the captain for the longest time. Hailing from the capital city of Monmurg originally, he is staunchly loyal to the Hold and has a reputation for winning organized fist fights in a dozen other port towns. The only woman on board the Bird of Prey, it is said Scar was once a vain and haughty courtier until she spurned the advances of a noble captain resulting in her disfigured face. There are many other stories just as fanciful about Scar but she isn't saying which is truth. Thoroughly unapproachable by most of the crew, Scar has recently taken to hanging by the side of first mate Araxo Tydan who has shown a certain generosity and lack of judgement found in any other seadog she has met. 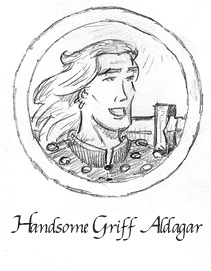 Griff Aldagar is the consumate adventurer on both land and sea. Originally from Saltmarsh, he moved to the Hold where he heard there was more fame and fortune to be found working for the infamous Blackguard. Handsome Griff is known for his large sword and even larger smile, traits that make him the envy of many salty sailors in the Hold. Kellin of Dreadwood is a rarity in the Hold of the Sea Princes, an elven minstrel. How this ancient piper came to serve on the Bird of Prey is uncertain, even Old Billy Palsy cannot seem to remember when Kellin first appeared on deck. What is known, is that the captain enjoys Kellin's presence despite his knack for telling unnerving sailor stories at strangely appropriate times. Nasty Nestor Rantono is from the small town of Port Calm. He is from a family of woodworkers and shipwrights found throughout the Hold. Foul-mouthed, filthy and slightly perverted, Nestor takes his job on the Bird of Prey seriously and isn't afraid to put anyone to work on repairs including his superiors. Nasty Nestor is always planning a dream home he plans to build someday when he retires from voyaging. The Sea Ghost was brought into port reluctantly by Vic, Cuahto and Henri. Once there, agents of the Count were contacted to inform him that his ship was secured. Over 300 small casks of rum, wine and brandy needed to be unloaded and fast. The Count's merchants quickly negotiated a generous offer to buy the cargo, less several casks kept for the enjoyment of those who worked so hard to gain the haul. The Count also made sure to reward the three for rescuing his ship, splashing handfuls of cheap small gems in the palms of each. All the activity at the docks of course caught the attention of their fellow crewmates from the Bird. So out of the kindness of their salty hearts, Pickles was given a silver service set (which he seemed amused with) and Araxo was given a highly useful book found on the Sea Ghost titled, Legal Distinctions in Letters of Marque. According to Lork, red-headed strangers must be spoken to before they can speak to you or else bad luck befalls the sailor. This didn't sit well with the red-ranger as he was pushed down and taunted by his compatriots. And that of course didn't sit well with the dim-witted Pickles. Before his allies knew it, Pickles was raging and charging the red-head with a meat cleaver. Indeed, even the rangers were caught by surprise and could only back away defensively. Once weapons were drawn, both sides sprang into action. The swamp rangers were of course friends and family of the rangers that Araxo and Henri had dispatched at the Lighthouse brothel mere days ago. This fact only made the confrontation more lethal. Victor challenged the largest ranger to a duel, which he gladly accepted to get away from the manic cleaver of Pickles. Pickles was backed up by Cuahto (wearing a skinned Gnoll pelt) and Henri (always eager to knife someone in the back). Araxo stood with many other bystanders and read from his new book. Within minutes, two rangers were down and Victor had cut down a third foe through with his cutlass. The fourth took off like lightning with Henri giving chase. The Torvin guard had showed by then to clean up the mess. With a show of his signet ring, Araxo informed the guard who was at fault and his allies were allowed to resume their business. Father Lork thanked Pickles and his friends for their aid and respect by gifting them two vials of holy sea water and some special algae that grants the ability to breath water. After imparting some more sealore and superstition on the group, Lork moved on. Araxo however was contacted by his father to attend a meeting at the manor concerning his next voyage. Later that evening, Araxo (who brought Pickles along) was in a private council chamber with Captain Rennaud, Count Tydan and his right hand man, Lord Ronaldo Key (cousin of Araxo). Rennaud opened by relating to Araxo (who had already gathered the truth) that he was once a Knight of the Watch from neighboring Keoland; the source of his nickname the Blackguard (though he didn't yet go into the reason why he was in disfavor). Related to this, he revealed that "the Owl's nest egg" that pirate captain McGrath referred to was not some rumored Keoish treasure he stole, but in fact a map that belonged to his family. A coded map to a mythical place that Count Tydan was very eager to invest in finding: The Well of All Heals. At first I wanted to jump on the controversy about Neverwinter being "the first RPG book solely set in one city" but I've cooled my outrage over that bit of revisionist history, so now I'll turn to another interesting topic coming out of Wizards of the Coast (note: you do not need a subscription to read this). When Wizards took away the magazines from Paizo I was suitably enraged (though it turned out great for Paizo) but it was more because I was attached to the tradition of paper magazines than the content. Once the same content was put online it became a minor issue as having the issues in PDF form made them no worse in quality than any other ezine out there. Download, maybe print, read, save. Then Wizards got lazier. The issues stopped being released as one entire document and instead the articles were broken up and slowly posted to the site one by one under the monthly heading of Dragon or Dungeon to keep up appearances of a magazine. So now with the steady demise of these once great magazines, Steve and company are appraising their options. In my opinion, with the current state of Dragon/Dungeon, and heck the entire D&D brand, these articles could be placed anywhere on the website and not make a bit of difference. Their decision to bring Dragonmirth back to the magazines briefly lifted my spirits since cartooning is my life, but even these comics are hard to navigate in the current format. So yeah, though I'm a traditionalist at heart, in this situation it might be time to pull the plug and put our beloved magazines to rest (for the time being). "10:15: Lords of Waterdeep. Euro-style board game coming out next year. Competitive game of intrigue set in Waterdeep. You’re a lord of Waterdeep, recruiting adventurers for quests, backstabbing / cooperating with other lords. Pretty cover art! Started on the game train last year with a conversation with Peter Lee. There are dice, cards, tiles. March of 2012 is the aim for release. Square coins and crescent coins. Old 2nd edition Forgotten Realms sourcebook used this image for Waterdhavian coins, so they made them for the game. Relies heavily on Volo’s (?) Guide to Waterdeep." As I had reported from an earlier Dragon article, Wizards is trying to break into this specialized boardgame market. So it's not surprising they have led off with the old cash cow, Forgotten Realms. The description of this game is exactly what I envisioned this boardgame would be like. Too bad it wasn't "Lords of Greyhawk" cause it would totally work in the same format as above and I imagine it would be a hot sell if only for collecting sake. But Waterdeep works fine. Is this the future of Greyhawk? "10:18: They want to expand their board games into all sorts of areas." I guess it all rests on the shoulders of Peter Lee. "10:24: Mordenkainen’s Magnificent Emporium – the back-from-the-dead book. Greg Bilsland runs playtesters internally and externally. It’s a “core exclusive” only available at game stores. Items are attached to the rarity system. Character options for flails. Mundane armor. Followers and henchmen rules. So, not just magic items – a book of “anything you could buy”." Mentioned a few days ago, I had forgot about the rarity system. How very CCG of them. The fact this book is only available from game stores is surprising. This might make the book itself a rarity. Hmm! Later on in the Q&A section of the seminar this detail starts to lose it's punch. "11:27 Q: Can’t buy Mordenkainen’s online?" " A: Have to keep stores happy – it’s where they get new players. It’s an awkward balance." "11:30 Q: Why not Mordenkainen’s online?" "A: Some hobby stores do sell online, and they’ll be allowed to sell this. Amazon will be able to order from WotC…They want to keep the industry healthy – complex ecosystem." I'm not sure how this is going to work any differently from other releases. If Amazon has the same access to this book that does little to help poor game stores. And if there is no PDF version for sale, well we all know what will happen there. "10:29: Encounters. Neverwinter next, then the Feywild – Player’s Option Heroes of the Feywild. Encounter based on UK1 Crystal Cave adventure – Beyond the Crystal Cave." "10:33: Book of Vile Darkness – December. By Robert Schwalb. Allows for playing evil campaigns. DM advice for making an interesting campaign with evil PCs. 32 page facsimile of the Book of Vile Darkness itself. 96 pages of player/DM info, double-sided poster map." Wow. Really, Schwalb? It was just an edition ago that this controversial book (and a fave of mine) had a "mature audiences only" label. I cannot imagine for an instant the 4e version of "evil campaigning" can touch the evil that Monte Cook once wrought. "Q: Book of Vile Darkness – will it be as “adult themed”?" "A: Not really. No “adult only” sticker, standard art." Thought so. Speaking of which, we might soon see the Book of Vile Darkness! Yeah, there is talk of a D&D movie based on the title of this nefarious tome. This I have to see. "10:34: February Encounters – The Elder Elemental Eye. Player’s Option: Power of the Plane Below. Fortune Cards: Spiral of Tharizdun. Essentialized Sorcerer (Mearls’ words). Monk option of some sort. Tharizdun-based conspiracy. More investigation – not like Call of Cthulhu where you just die from your investigation. Tied to Eye of the Chained Gods novels in April." Oh Encounters, you done it again! 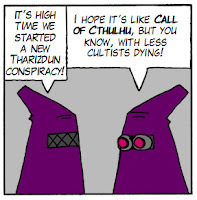 Now I know Big T has been with the 4e mythos from the start, but seeing such an outpouring of new adventures, cards, and novels about Tharizdun just leaves me wondering yet again, what could have been. Where was all this fan support when Living Greyhawk was at it's height? Tsk! "Q: Next year’s campaign setting?" "A: Mearls – not yet ready to talk about it. They’ve intentionally pulled back their timeline a little. Don’t like announcing stuff before it’s really ready and then canceling it. Don’t want to create expectations they can’t meet or create confusion. Essentials – they don’t think that was handled great in this respect. There WILL be another campaign-style book next August, similar to Neverwinter this year. " "10:57 Q: For next August’s setting, any hints and when will it be announced? A: It’s not Dragonlance. Well, it does have dragons. Tease: “It’s not just a setting, but it’s a way to play. Something that D&D hasn’t tried before.” “Twist” is a good word." Wow, okay. So that dashes Greyhawk and Dragonlance which was an odds favorite choice to get a 4e setting book. Hm, Dragons. A way to play. Hasn't been tried before? I seriously doubt that. Just in case here is my prediction. That's about all I have energy for, the rest is for you to digest. Thanks again Online DM for your work! 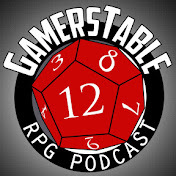 Best Podcast (Silver) Chronicles: The Pathfinder Podcast, d20 radio. Interesting. Alot of people even like to listen about Paizo stuff. I suspect my friends will take notice. Best Interior Art (Gold) Pathfinder: The Inner Sea World Guide, Paizo Publishing. This I can believe. Sarah Robinson is a great art director. They've attracted the best artists in the biz since their days on Dragon and Dungeon Magazine. Best Cartography (Gold) Pathfinder Campaign Setting: Inner Sea Poster Map Folio, Paizo, Cartography Rob Lazzaretti. This product, with its four quadrant mega-poster map of the setting is the heir apparent of Greyhawk's Darlene map. Rob has been mapping for Paizo a long time. Some might remember he did the huge four part map of Greyhawk for Dungeon Magazine which stands to this day as the last, best revision of that world map. Judges Spotlight Award from Mark Green: Wayfinder #4: The Mwangi Expanse, Paizo Fans United. Imagine if the free fanzine Oerth Journal had been closely supported by TSR or Wizards back in Greyhawk's heydey. It would be as lauded as Wayfinder. I have alot of respect for the fans and authors of this Pathfinder fanzine. Kudos go out to good friends on this product that I've chatted with or met in person, especially Liz "Lilith" Courts, Hugo "Butterfrog" Solis and Adam Daigle. Best Monster/Adversary (Gold) Pathfinder: Bestiary 2, Paizo Publishing. And the silver goes to Wizard's Monster Vault. Best Setting (Gold) Pathfinder Campaign Setting: Inner Sea World Guide, Paizo Publishing. And the silver goes to Dark Sun. Best Adventure (Gold) Pathfinder Adventure Path #43: The Haunting of Harrowstone, Paizo Publishing. They just keep cranking out the adventures and paths. I don't think even TSR put out adventures at this rapid of a pace and with this much quality. Wizards meanwhile seems more content specializing in their D&D Encounters organized play events, which I don't know if the ENnies has found a category for yet. Best Supplement and Product of the Year (Gold) Pathfinder: Advanced Player’s Guide, Paizo Publishing. Because Pathfinder players like their game advanced and can't get enough of it. The rumors of Paizo outselling Wizards for the first time this year is likely true if it's anything like the voting on the ENnies. Best Game (Silver) Mutants & Masterminds Hero’s Handbook, Green Ronin Publishing. I do love Green Ronin and M&M as well. I feel bad that I've not ran their new edition though, I tend to cling to editions I'm comfortable with as long as possible. Did Paizo or Wizards win the gold? No! It was Evil Hat Production's Dresden Files RPG. Weird! Coming out of the Hammerhead tavern one night, the PCs run into three familiar faces (well not to Pickles who mistakes them for some other persons he hates), belonging to pirates that they ran from way back during their trip across the bay to Saltmarsh and it's haunted house on the coast. The three pirates immediately noticed that they were noticed and took off in a sprint through town, eventually splitting three directions. The crew gave chase and all three scalliwags were taken down: one by Emmitt's fist in an alley, one by Cuahto's long distance swimming skill, and the last knifed to death on main street by Henri (then HE ran away). Both pirates ended up being taken to Araxo's brothel, the Lighthouse to be interrogated and possibly pressed into service. Unfortunately an informant ran to Araxo's father, Count Erasmus Tydan to tell him what was transpiring. Araxo and Pickles were luckily absent when the Torvin guard arrived to haul the two pirates and three of their captors to Tydan manor for a meeting. Evidently the pirates belonged to the mutinous crew of the Sea Ghost, a ship that once belonged to Count Tydan. Their smuggling activities always brought them close to Saltmarsh and Torvin but never directly into port. The two surviving pirates (who were thoroughly socked by the guard for insolence) admitted to the Sea Ghost being achored a mile off port, awaiting their lantern signal for them to return by boat. Count Tydan wanted his ship back, so the offer was made for Cuahto, Morgan and Hammond to go with a few of his men (and one of the pirates named Feylan) and bring the mutineers to justice. The opportunity to earn free loot was too much a lure so they went to work immediately. And saw three smugglers, two standing midship by the rail, awaiting with a rope ladder for the boats that never came and the other standing on the forecastle, patrolling. Just as the patroller spotted one of the doors creak open, Victor Hammond invoked the famous daredevil Leroy Jenkins and charged out onto deck to attack. The initial surprise went well, one man went down to a knee as he was stabbed, but the other man shouted a warning as he drew a broadsword and introduced himself as "Bloody" Bjorn. The duel with Vic was on. Henri rushed out onto deck next and finished off the injured pirate, only to see that behind them on the poop deck lingered more people next to a signalling lantern: Captain "Snake Eyes" Sigurd, his mage Punketah and a steersman armed with a cutlass. The bristly bearded captain drew his longsword but merely stared down at the melee erupting below. Victor traded steel with Bloody Bjorn, attempting feints and disarm attempts but neither had the advantage. Armed with only a dagger, Henri dashed up the stairs toward the captain and was headed off by his lackey. The pirate at the fore tried to sneak up on Vic as he duelled but then on cue Cuahto, Feylan and the Torvin guard emerged from hiding to head off this threat (Cuahto took the pirate down). The advantage was short lived for suddenly out a door came the Sea Ghosts' wildcards, a lizardman and a reddish gnoll! The odds were still even. The captain next yelled to Feylan and asked what his loyalties were, the smuggler chose his old loyalties and stabbed one of the Torvin guard who much to his chagrin was then swiped off the ship by a crushing head-blow from the lizardman. The battle intensified as Cuahto went after the treacherous Feylan killing him for wasting his kindness. 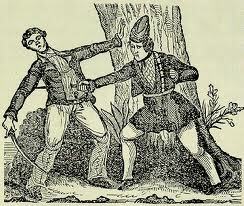 Not far away Henri took to a rope and swashbuckled his way past Captain Sigurd to give him a cut across the face. This affront was barely survived as the mage casted a failed Sleep spell on him as he dangled from the rope. The battle rolled on and Victor, though injured, finished off Bloody Bjorn with a misdirected stab. Outraged at the death of his first mate, the captain swung down to meet Vic and another duel began; crashing attacks were countered by more dodgy feints. Henri meanwhile dropped back to the poop deck and confronted the mage, who recoiled harmlessly once his blood was drawn. The pirate defending him fell against the former Sasserine soldier. The humanoids began to wear down and were soon defeated by Cuahto and the remaining Torvin guard. Lastly, bleeding from his wounds, Victor sneaked his best lethal stroke into Captain Sigurd, and as his beady, staring eyes rolled back, he fell to the deck dead. The battle for the Sea Ghost was over. Mordenkainen's Magnificent Emporium "A wondrous collection of magical treasures for any campaign"
"Well, we wanted to finish with a bang. As has recently been announced, Mordenkainen's Magnificent Emporium has returned as a print product, and it's jammed full of items -- magic items, to be sure. You'll find plenty in the book for every character, whether you're looking for the armor of dogged grit, robe of useful items, or even plate mail of etherealness; new superior weapons, flame tongue or frost brand swords; or wondrous items such as a decanter of endless water, crystal ball, or Daern's instant fortress!" Ah nice, Daern's Instant Fortress. I'm anxious to see how it gets 4e-ified. You can add new artifact and story items, mundane adventuring gear, and hirelings and henchman to your game." Hirelings and Henchmen in a magic item book? Okay...intriguing if only for the fact I can see henchmen as something Mordenkainen would know about. Cursed magic items were a mainstay of older editions of the Dungeons & Dragons game, much to Dungeon Masters' delight and players' occasional frustration. Items that hold curses seem just like normal magic items. They are, in fact, perfectly useful magic items in their own right. Under certain conditions, however, the dark magic of an item's curse causes the item to fail or malfunction in some spectacular way." So now Mordy's shop is selling cursed items? Say it ain't so! Humor aside, this is another topic Mordenkainen would know about so it fits the theme of the book. I still rankle at the thought of Greyhawk's #1 wizard being reduced to having his name put on a magic item shop. I mean, if Greyhawk was ascendant, we wouldn't be seeing a book called Elminster's Exalted Boutique. "Elminster's archenemy, the vampiric Lord Manshoon, thinks he has destroyed Elminster at last. But Elminster survives in the form of magical ash, and with the help of his scion and the vestige of the long-dead goddess of magic, he still has a chance to counter Manshoon's insidious plots." Sentient ash? For the love of Mystra, let the guy rest Ed!